What's in the November issue of MCD? 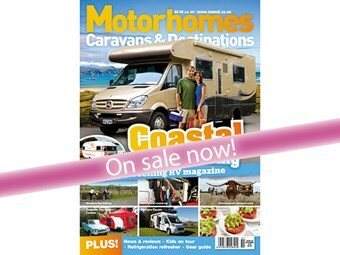 The November issue of Motorhomes Caravans & Destinations is in stores now and is packed with some great tests and places for you to explore. Sarah McVerry packs her brood into a six-berth Kea for a mainland adventure and thrill-seeker Shane Boocock elects to chill out on magical Magnetic Island to build his strength before going bush on Queensland's Great Tropical Drive. Plus, don't forget to enter our Best Vintage Caravan competition! If you think your 'van has got what it takes, then we want you to tell us about it and you could win some fabulous prizes.